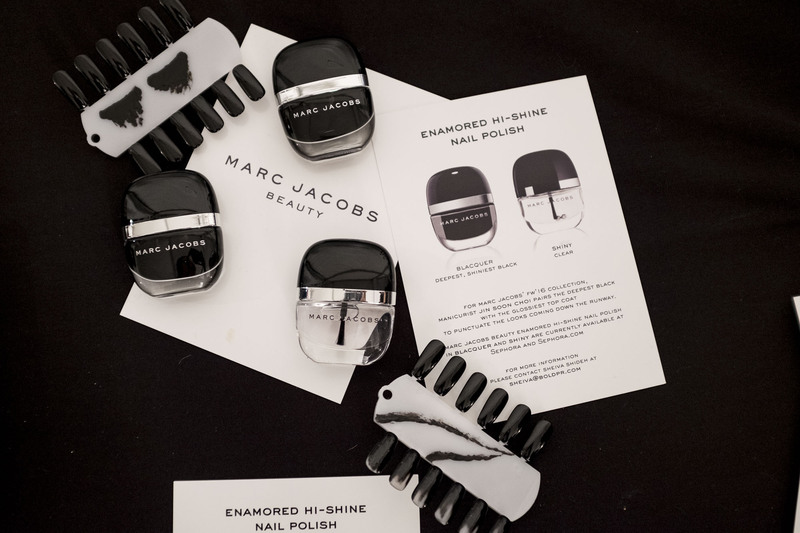 Marc Jacobs Beauty gives darkness side to your manicure. For F/W 16 collection, Marc Jacobs took the inspiration from Tim Burton’s universe, gothic elements and Club Kids, the eccentric 80s band. Manicurist Jin Soon Choi pairs the deepest black with an ultra glossy top coat to punctuate Marc Jacobs looks on the runway. Marc Jacobs beauty is available at Sephora.